Fall Foliage Value Tours offer enough content for a long, fun location at a great bargain. 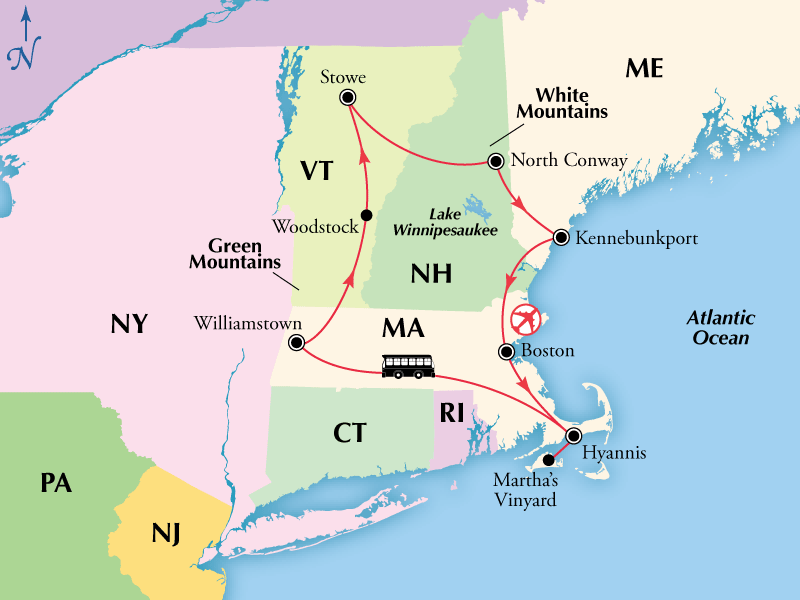 We offer the best selection of Fall Foliage tours and New England vacations. Budget Travel is best suited to the traveler who wishes to have a good basic introduction to travel without breaking the bank. Experience New England's Fall Foliage season on an escorted value tour. Buying your Fall Foliage Tour early also gives you peace of mind because you prepay for your trip and save up to 40% off the cost of traveling the same itinerary on your own. Once you have found the Fall Foliage tour of your choice, please call our tour consultants to book your vacation.